Here is a good book about how Jonathan Edwards understood the revival manifestations of the Holy Spirit during the Great Awakening. 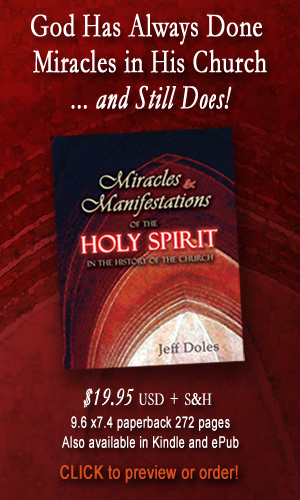 Storm's insights and clarifications were very helpful to me in putting together the section on Jonathan Edwards in Miracles and Manifestations of the Holy Spirit in the History of the Church. 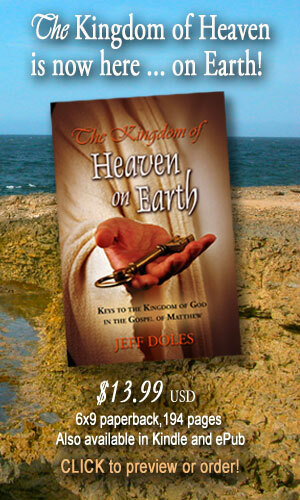 The links will take you to the Amazon page where you can preview this book through their "Search Inside" feature. "Jonathan Edwards’s treatise Religious Affections is widely considered the most important and accurate analysis of religious experience ever written. Unfortunately, many well-intentioned readers sit down with Religious Affections , only to give up in frustration over Edwards’s lofty style and complex argumentation. This volume serves those both in and outside the academic realm as valuable preparation for, or as a companion guide to, a reading of Edwards’s Religious Affections . Sam Storms is the founder of Enjoying God Ministries in Kansas City, Missouri. He is a former pastor and professor, including his time as visiting associate professor of theology at Wheaton College (2000-2004). He received his Ph.D. from the University of Texas at Dallas. Storms is the author of several books, including The Beginner's Guide to Spiritual Gifts. He and his wife, Ann, have two daughters and one grandson." Here are a couple of testimonies of the dead being raised in the U.S. One is of a little baby girl from Kansas; the other is of a railroad engineer from Pennsylvania. Both were pronounced dead; both were brought back to life through prayer and faith in the name of Jesus Christ. God is still doing it today.